Pickup trucks used to have sparse interiors but that’s not the case these days as the 2019 GMC Canyon features list is a long one. 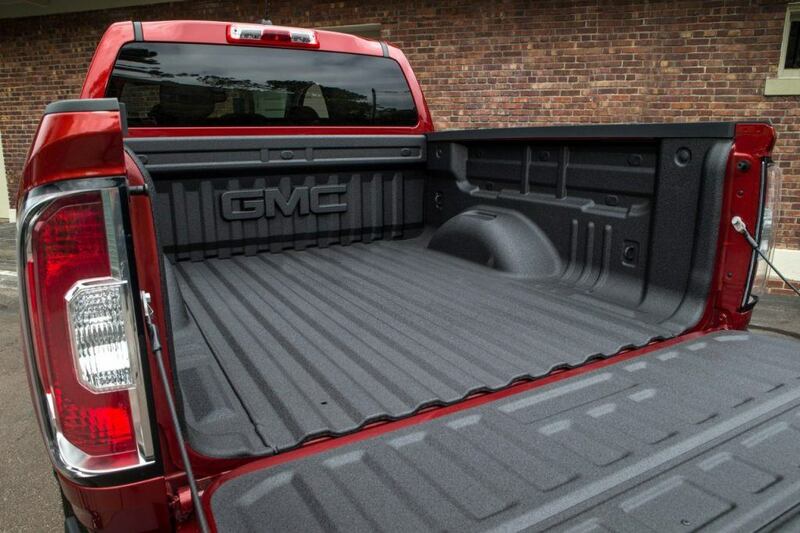 From Safety to Convenience, the GMC Canyon can be customized to your specific needs. Safety is always on everyone’s minds when purchasing or leasing a new vehicle. The 2019 GMC Canyon is a mid-size truck with a lot of standard safety features and a slew of optional ones as well. StabiliTrak Stability Control w/ Traction Control - Automatically adjusts the brakes and engine torque to help the driver stay on the intended path. 6 Airbags - Dual-stage driver and passenger airbags, Seat mounted side impact airbags, and side-curtain airbags for front and rear occupants. Rear Vision Camera - Provides a clear view of what’s behind the Canyon when reversing. Includes dynamic guidelines laid over the display to assist in reverse maneuvers. Teen Driver - This configurable feature lets you activate customizable vehicle settings associated with a key fob to help encourage better driving behavior. It can limit certain vehicle features, and automatically turns on certain safety systems if vehicle is equipped. 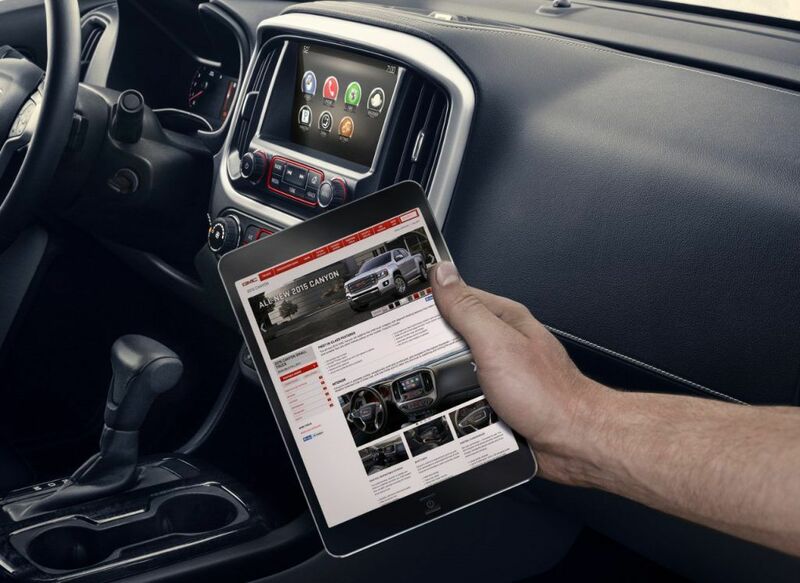 OnStar & GMC Connected Services - Whether you need assistance with a specific vehicle function or turn by turn directions or assistance in the event of an accident, OnStar is always there to help you. Rear Park Assist - When driving in Reverse below 8 km/h (5 mph), provides distance-to-object alerts to help the driver park. Lane Departure Warning - Provides alerts to help drivers avoid crashes due to unintentionally drifting out of their lane when their turn signal is not activated. Forward Collision Alert - If the system detects that a front-end collision situation is imminent while following a detected vehicle, the system alerts the driver to a potential crash. Let’s face it, no one wants to buy a truck where the only convenience feature is a radio. 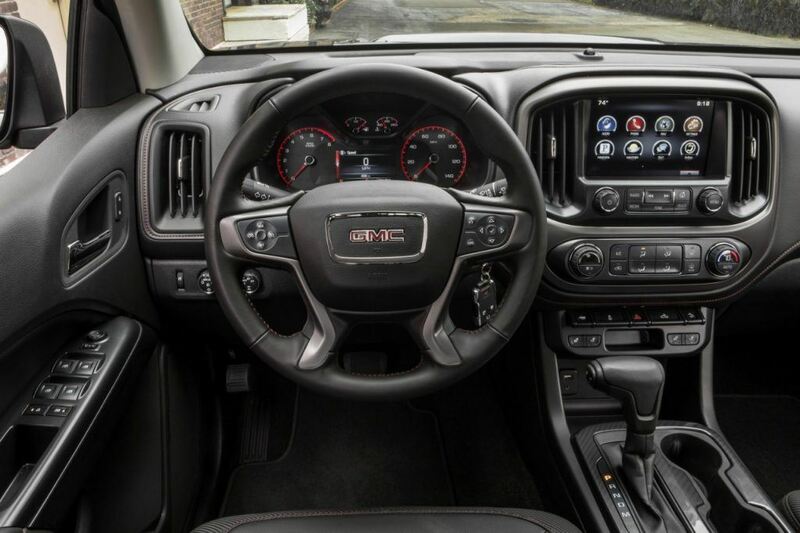 That’s why the GMC Canyon features quite a few standard and a slew of optional features to make the drive more enjoyable. 7” Diagonal GMC Infotainment System - This multi-touch screen is the center of the Canyon and features the AM/FM radio, Apple CarPlay and Android Auto compatibility, and voice command pass-through to phone. In addition to SLE, SLT, and Denali trims, the 2019 GMC Canyon is also available with a few packages to set your Canyon apart from all others. 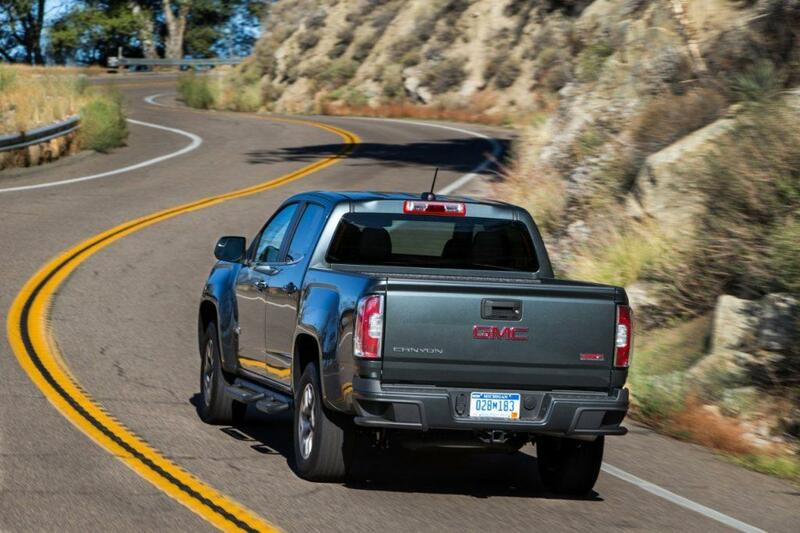 This package adds a lot of off-road features to make the GMC Canyon a tough and capable mid-size pickup when the paved roads run out. It adds off-road suspension, Hill Descent Control, a Transfer case shield, Unique 17” aluminum wheels, 17” all terrain tires, and Automatic locking rear differential. This package adds a performance air intake system and a cat-back exhaust system to give the GMC Canyon a bit more oomph along with a throatier engine noise. Available only on the 3.6L V6 engine. 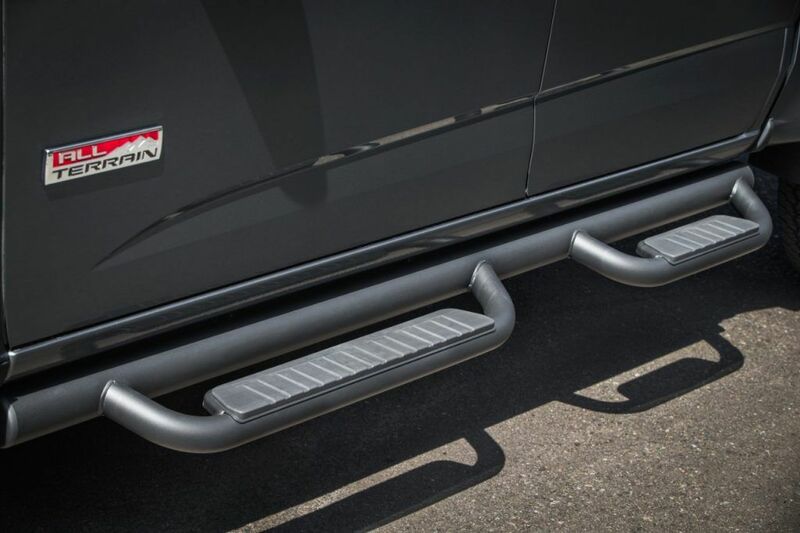 Getting in and out of a pickup truck can be a difficult task for some which is why the exterior convenience package adds 5” black rectangular assist steps and black moulded splash guards. A good package to go along with the All Terrain Package if you plan on taking your Canyon off the beaten path. It includes a metal front and mid skid plate.